Roman chamomile and lavender essential oils are two of the best essential oils to have on hand for helping to soothe the nerves, relax and unwind during stressful periods or to help promote calm before bed after a difficult day. Each of these oils is helpful when used alone, but they can be even more effective when paired together. Mix the essential oils and carrier oil well and add to a clean, air-tight dark glass bottle. This essential oil blend can be applied as a body oil or used as a massage oil. Giving yourself a foot massage with this relaxing oil is also delightful. Both Roman Chamomile and Lavender oils are naturally sedating, so it's best to use this blend when you do not have to drive or concentrate. If you prefer to make a diffuser blend, make a master blend with a ratio of 2 drops Roman Chamomile to 1 drop Lavender. 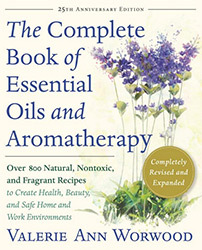 As always, carefully review and study the safety guidelines for each essential oil that you use.